*Western VSA’s New Year’s resolution Teavolution event that brought together VSA members for a night of socializing and creating goals for the year. 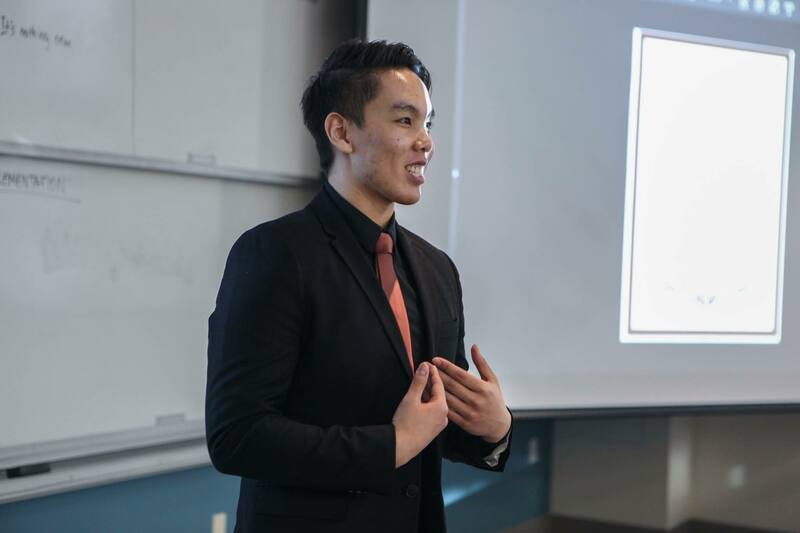 During the 2017-2018 school year, Jerick Nguyen was one of the Co-Presidents for Western’s VSA, as well as a Committee Member on UVSA Ontario as the Co-Social Media Lead. However, he was much more than simply those two titles. To many people, Western VSA’s general members and executive team, UVSA Ontario’s Executive and Committee Members, and the overall Vietnamese community, Jerick was (and still is) seen as a great leader, compassionate individual, visionary, friend,… the list could go on. Overall, he is being nominated for Outstanding VSA Member of the Year because of his leadership and positive impact within the Western and Vietnamese community. His leadership strongly contributed to the growth of VSA Western’s gia dinh/family, especially in terms of recruitment, outreach, and efforts/spirit. Jerick embodies qualities of what a great leader should have: charisma, enthusiasm (lots of it! ), high-spirit and passion. Not only did he display these qualities, but he also worked extremely hard to make sure that Western VSA’s voice was heard within the community. He put in so much of his own time and energy so their club would get ample opportunities to educate others about Vietnamese culture/heritage, recruit new members to the family, and ultimately have VSA grow as a club. In terms of leadership, Jerick’s leadership style helped the team greatly in order for them to work together smoothly. He took charge in team meetings and ensured that they ran efficiently. In terms of recruitment, Jerick’s never-ending hospitality really attracted many new general members to join the club. In terms of outreach, he worked closely with the VP External to collaborate with other clubs on campus and create strong rapports. In terms of efforts/spirit, he invested a lot of his time into VSA, such as thinking of event ideas or just how to improve VSA as a whole. At the annual elections, Jerick helped continue the sustainability of the VSA. There was conflict within the student body union that jeopardized Western VSA’s chances of being ratified. Jerick handled this situation very professionally and sat with multiple Board Members, including the Student Union President and Dean to explain the situation his VSA was in. Without Jerick’s contributions towards that meeting, Western VSA would not have been able to persist during the following year, which would have put the VSA community within the university at a loss, especially since Jerick has been trying to unite a predominantly Western-centric VIetnamese community by preserving the VIetnamese culture over the many years he has been on VSA. *Western VSA’s Ignite Culture Show performance. With Jerick’s promotions within his VSA, he was able to recruit the most members to attend UVSA Ontario’s Ignite culture show, and thus, Western VSA took home the cash prize of the Most Tickets Sold for a VSA at 78 tickets sold (most than 1/3 of the theater capacity). Leadership: Jerick took charge in team meetings and made sure that we stayed on track when discussing events/logistics, while also keeping it fun. He also tried his best to compromise for the best solution. For example, when a disagreement between 2 executives came up, he quickly jumped in to resolve it. He got both people to see eye-to-eye and communicate effectively with one another about the issue. Jerick would also implement strategies, such as working with VP Comms/VP Social to ensure that an outline before meetings would be posted in the group page. As a result, meetings were run much more efficiently. Recruitment: Jerick has always been a welcoming individual. If there was anybody who showed interest in joining the club, he would not hesitate to jump-in and make that person feel as though they were already part of our ‘gia dinh.’ For example, at Club’s Week, he made sure to smile and call over students to encourage them to join our club. As a result, this past year had the highest number of general memberships the club has ever had. Outreach: Jerick worked with VP External in order to create collaboration events with clubs that we have never worked with before. He acted as a ‘first impression’ to VSA and created positive connections with these clubs. By doing so, we were able to host multiple collab events, such as ’50 Shades of Love’ Bar Night with Korean Students’ Association. Efforts/Spirit: Jerick is always thinking about ideas that could help improve the club’s events, planning, teamwork, etc. Despite the time commitment of being on both Western VSA and UVSA Ontario, Jerick made sure to uphold his responsibilities for both teams. He is extremely high-spirited and always hyped up the team and made general members excited to come to our events. 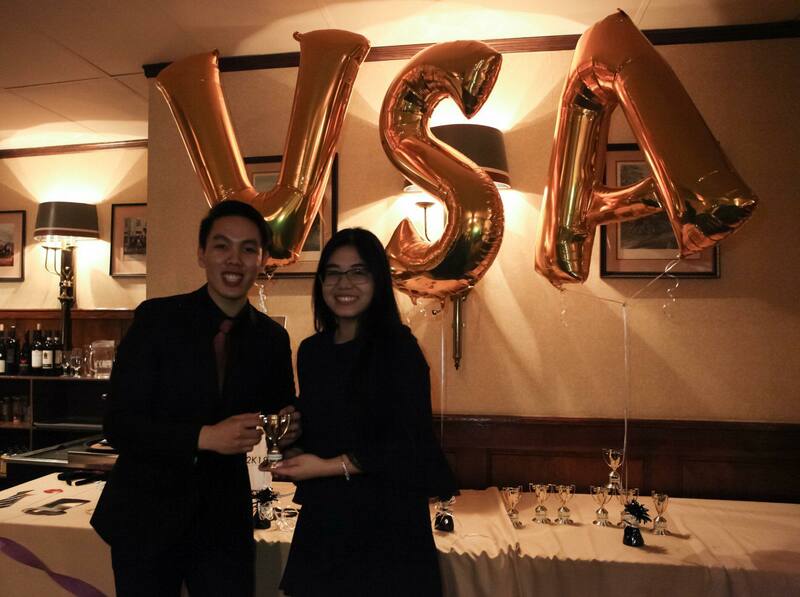 *Jerick receiving the VSA Member of the Year Trophy presented by one of the Executive Members on the team. He was unanimously voted to receive this distinction. 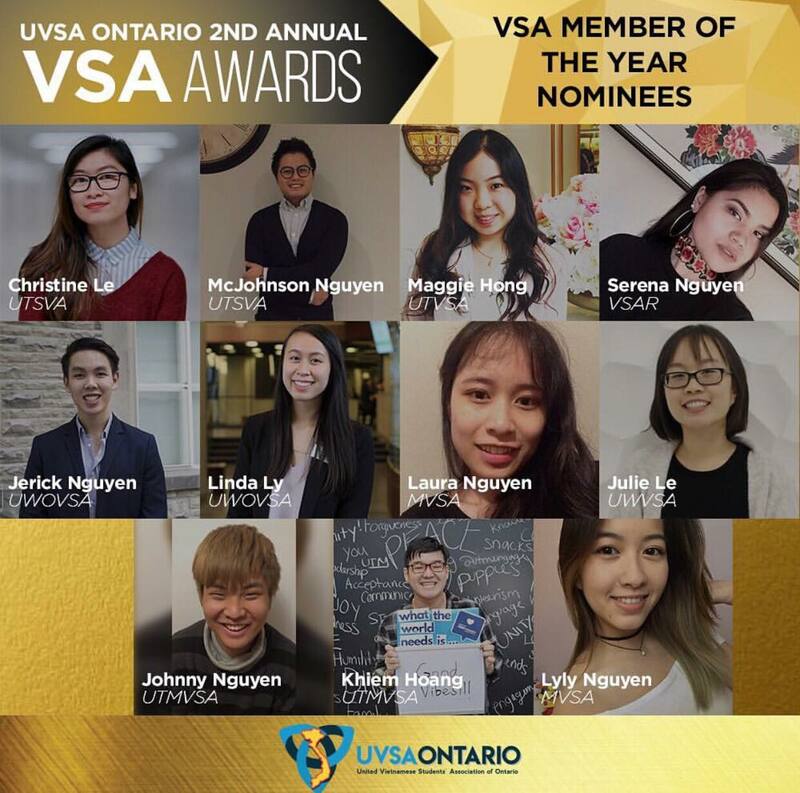 *Jerick being nominated for a regional VSA award for VSA Member of the Year at UVSA Ontario’s Annual VSA Awards during the UVSA Ontario Leadership Summit. Western VSA’s Facebook page outreaches to a wide range of members within the Vietnamese community. Western VSA attracts a lot of international students, as well as second generation Vietnamese Canadians. One of Jerick‘s platforms this year was to bridge the gap between international and Canadian-born students by fostering an inclusive and open environment.